In the first event of a boxing series being presented by Uprising Promotions, Evander Holyfield’s Real Deal Boxing and Wray & Nephew Rum, A Real Deal Uprising in Jamaica was headlined on Friday by Junior NABF middleweight champion Kemahl “Hitman” Russell (13-1, 11 KOs), who dismantled crafty veteran Michi Munoz (26-8, 18 KOs) in the second round of the night’s feature bout. Before the main event pairing at the National Arena in Kingston, Jamaica, Russell had a short piece of advice for his hometown supporters. In the first frame of the contest, Russell utilized his range early while working behind the jab and walking Munoz down. Late in the opening round, he started laying the foundation of some good body work in case the fight traveled into deep waters, but that would not be the case. After some back-and-forth action in the opening minute of the second frame, Russell started changing levels and pounding on Munoz as he backpedaled to the ropes. Russell then unleashed a sharp uppercut that snapped back the head of his opponent, following it up with a brutal body shot before pummeling Munoz with a two-piece that dropped him. Munoz returned to his feet after tasting the canvas, but Russell would not let him off the hook as the Jamaican power-puncher immediately jumped on him and provided no time to recover. After unloading a flurry that touched the body and head with both hands, Russell saw Munoz quickly return to the canvas shortly after the first knockdown. This time, he would be unable to recover, and the referee was forced to wave off the fight. The official time of the stoppage came at 2:05 of the second round. 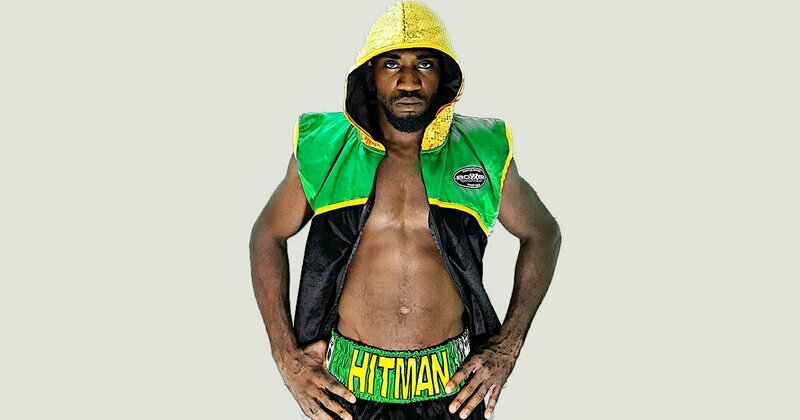 The rising star of Russell has been on a steady trajectory since winning Wray & Nephew’s Contender Boxing Series in 2015, and Uprising Promotions President Ronson Frank feels he is the perfect candidate to headline the new Jamaican boxing series that his promotion is launching alongside Evander Holyfield’s Real Deal Boxing.